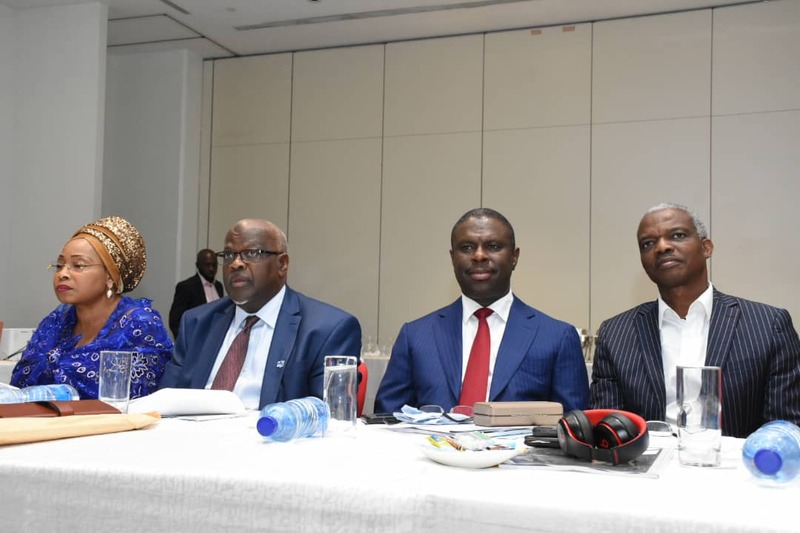 The Director General of the Nigerian Maritime Administration and Safety Agency (NIMASA) Dr. Dakuku Peterside has stated that creating additional agencies in the maritime sector would only overburden the sector; adding that what needed to be done was to strengthen the existing ones for optimum service delivery. Dr. Peterside who stated this during the 2018 Half Year Maritime Forecast Review which held at the Eko Hotels and Suites said that there are already complaints by ship owners that it is only in Nigeria that you have too many Agencies interfacing directly with vessels calling at the Nation’s ports. “I have been receiving a lot of complains by ship owners that different Government agencies board their vessels to request for documents which many a times result in duplication of duties and increase the delay in turnaround time of vessels. So it means if we create new agencies we are simply going to overburden the sector which is enjoying a new level of progression under President Muhammadu Buhari”, he said. The NIMASA DG pointed out that in order to avoid duplication of duties and support the Ease of Doing Business Agenda of the Federal Government, the Agency has a Memorandum of Understanding with the Armed forces as well as collaborations with the Nigerian Customs Service, Nigerian immigration service, the Nigerian Police and even the Central Bank of Nigeria. He further said that the current maritime regulatory agencies under the Ministry of Transportation have enough mandates to ensure safety and security in the sector adding that the Nigerian Navy could not be allowed to board merchant vessels for regulatory activities according to International Maritime Organisation (IMO) regulations, Merchant Shipping Act and other regulatory instruments that are in line with global best practices. “There is no way the Nigerian Navy can act as a regulator in the sector and we have been working together especially in line with the MoU that exists between us to ensure security in the sector which is in line with what the IMO stipulates and so we should not be thinking about creating more regulatory agencies or the Navy taking the job of other regulatory agencies. The best thing to do is to strengthen these agencies to be able to perform optimally,” he said. He charged stakeholders to support the Industry’s growth stating that things are changing at an incredible pace and that there is the need to support the current maritime agencies to dynamically position the sector for optimal benefits. Dr. Dakuku Peterside has continuously advocated the growth of the sector for regular engagement of stakeholders to chart a way that is best beneficial to the industry and indeed the Nigerian economy.